why was this incredibly friendly cat wandering wild in a bird reserve? Shetland was a mass of flowers when we were there! It was beautiful to see whole fields full of colour. During our trip to Shetland, we visited Loch of Funzie on Fetlar, the RSPB reserve for red necked phalaropes (the UK's rarest breeding bird, shown on the information board in the photo below). I have always wanted to see red necked phalaropes, ever since when I was growing up we used to play an RSPB board game called Conservation, which featured red necked phalaropes as one of the key species. Red necked phalaropes are interesting birds too, as the females are more brightly coloured than the males and once a female has laid her eggs she abandons them to the care of the male. Last time we visited Shetland, we didn't see the phalaropes and it seems that we were probably a week too early, as they hadn't yet arrived from their wintering grounds. and red throated divers, with their haunting calls. We spent about half an hour in the hides overlooking the mires of Funzie, where the phalaropes like to spend time. We didn't see any phalaropes but were delighted by the snipe, which were flying around and drumming with their tail feathers, a wonderfully haunting sound! We spent 30 minutes watching her as she swam around, waded at the edge of the water and eventually flew away. What a lovely view we had, and no-one else was there! We had a wonderful time watching but our photos aren't anywhere near as good as those taken by Hugh Harrap of Shetland Wildlife. Just look at this video of a female red necked phalarope! Last year we had A Quiet Passion, director Terence Davies' version of Emily Dickinson's life, this year it is the turn of feminist director Madeline Olnek. In Wild Nights with Emily Olnek focuses on Dickinson (Molly Shannon)'s romantic friendship / lesbian affair with her childhood friend Susan (Susan Ziegler) who later married Emily's brother Austin (Kevin Seal) so the two women could be close for the whole of their lives. The film is a reimagining of Dickinson's life, rather than a journalistic telling of known facts, but the truthfulness of it is underpinned by passionate letters written from Emily to Susan. In the hands of Mabel Todd (Amy Seimetz) Dickinson's first publisher (and Austin's mistress) all mention of Susan was erased from the letters but recent infra red studies have revealed Susan's name. In the film Mabel is shown giving a lecture after Dickinson's death in which she presents the poet as a spinster recluse, the stereotype that most people have had of her ever since. Other scenes show that Mabel did know about the relationship between Emily and Susan, but wanted to hide it. It was Susan's daughter who was the first to speak about the nature of the relationship between her mother and Emily but she wasn't such a self publicist as Mabel and wasn't able to counteract the latter's misrepresentation of Dickinson. Another misconception we have always been lead to believe is that Dickinson actively chose not to be published. This film however shows her arguing with a male publisher who won't publish her because not only is she a woman but she doesn't write about stereotypically female concerns and even worse her poetry doesn't rhyme! Ultimately this is an entertaining film with plenty to say about the difficulties of being a female writer in the nineteenth century and offering insights into the hidden passionate private life of one of the world's most famous poets. Wild Nights with Emily is screening as part of the Edinburgh International Film Festival at 1800, Thursday 28 June at Odeon and 1555 Saturday 30 June at Cineworld. You can book tickets here. Patrick - endearing romcom featuring an adorable and very naughty pug. Disclaimer: I have a press pass for the Edinburgh International Film Festival and attended a free press screening of this film. 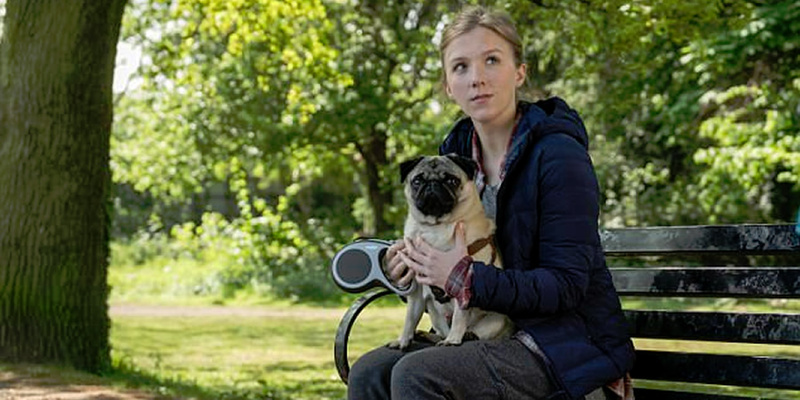 I'm normally quite a serious film viewer and generally avoid romcoms, but Patrick the pug's face has been staring at me from film posters for over a week now and I felt drawn to go and see this film about a young woman who inherits a pug. Sarah (Beattie Edmondson) has just split up with her boyfriend and is about to start a new job. So she is less than delighted to inherit her grandmother's most treasured possession - Patrick a cute, lively and very naughty pug. Sarah doesn't even like dogs and her flat is supposed to be pet free which means Patrick causes problems from the start and he soon starts misbehaving once Sarah leaves him unattended during the day. Sarah initially finds her new school very challenging, trying to engage bored teenagers in appreciating Jane Eyre while the deputy head teacher makes disparaging comments at every opportunity. Sarah's life changes for the better as she finds a new home, takes part in a fun run and makes friends among the staff, finds ways of kindling her students' interest and finds that Patrick not only is surprisingly endearing but also helps her to meet new men. The acting is consistently good, but it is Patrick who steals the show with his clever tricks and antics. He has a wonderfully expressive face and total screen presence. I found it odd that when the credits rolled his name wasn't included (I was curious to know how many pugs had been used as actors in the role). Sometimes silly, sometimes predictable but always entertaining this is definitely a romcom for the pug lover. Patrick is screening as part of the Edinburgh International Film Festival at 1800 on Thursday 28 June at Filmhouse. You can book tickets here. No film reviews today on this blog so instead I'll share another blog about our trip to Shetland! The puffins are such characterful birds and are great fun to watch as they waddle around on the tops of the cliffs, going in and out of their burrows (which were often originally rabbit burrows). and there's a special type of bumble bee here - the Shetland bumble bee, which is very pretty and only (as far as I know) found in Shetland and the Hebrides. It's all very beautiful but only a pale shadow of what it used to be. Most species of sea birds are declining across the UK and Shetland is particularly badly hit. In 2000 there were over 33,000 puffins on Shetland, last year there were around 570. Read this article to find out more about seabirds in Shetland and this article to find out more about how puffins are faring across the UK. One sea bird that is thriving in Shetland is the storm petrel, which has thousands of pairs nesting on the island of Moussa. The petrels nest in the cracks between stones in the beaches and walls on the island. We went on a late night boat trip to see the petrels and it's a wonderful experience to have them flying round your head as they come in to their nest sites. You can also hear them all calling from the walls and the beach, quite a haunting sound! Sadly though we saw very few insects. All the slopes where rabbits would normally keep the grass short are as rich in flowers as the areas where the relaxed mowing regime is allowing flowers to thrive. So it looks like this is another area where rabbits are declining in number. I still have a couple of films from Edinburgh International Film Festival to watch and review, but I will start posting about our Shetland trip soon. Two years ago the United Kingdon voted to leave the European Union. 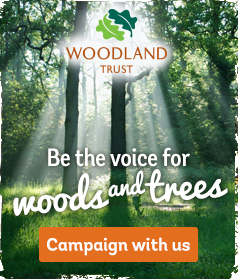 I voted to Remain in the EU primarily because of the additional protections that Europe gives our environment, the Birds and Habitats Directives and the various directives on pollution, (though some aspects of the Common Agricultural Policy are detrimental to the environment). You can read my blog post on the environmental benefits of the EU in this blog post. As a Remain voter I was very interested to see the film Postcards from the 48% which got it's world premiere at the Edinburgh International Film Festival earlier today. As an environmentalist I was totally disappointed that in all the issues talked about in the film, the environment was not addressed once, beyond one member of the public being interviewed saying how with all the global problems including climate change, it's shocking that we're focussing so much on Brexit. No other mention of any environmental issue at all. One day we will need to wake up to the fact that the environmental issues are the most important of all. If we don't address these issues then all other issues become irrelevant as we fight fur survival in a burning world depleted of food and nature. However if you ignore this huge oversight by the makers of this film, it is a very interesting documentary into the state of the UK post Brexit and the feelings of the many people across the country who voted to Remain in the EU. David Nicholas Wilkinson travelled across the UK asking celebrities, media people and members of the general public, all Remainers, their thoughts on Brexit and how they thought things would develop as we leave the EU. Most people focussed on the economy, the financial support that the EU has brought to struggling post industrial areas, support that will not be replicated by the UK Government post-Brexit. The looming possibility of a return to a hard border between Northern Ireland and the Republic of Ireland to the South was unsurprisingly the major concern for the Irish people interviewed. The film goes into a fair amount of detail of the history of the benefits of the EU for the economy and peace in Northern Ireland. It also represents the views of Remainers from a diverse range of places across the EU, though it does tend to be Anglocentric, not only in terms of most interviewees being based in England but also in the fact that some (most?) of those English interviewees refer to English or England when I think they mean UK? Like the EU itself, this film is flawed, but whatever you voted in the referendum it gives you an interesting snapshot of what Remainers feel now and a sobering insight into the potential future of the UK and our relationship with the rest of Europe. 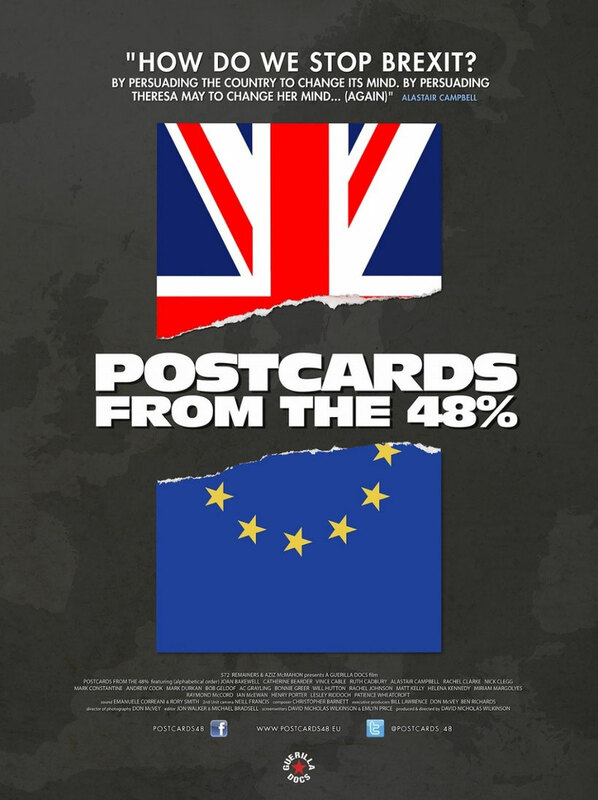 Postcards from the 48% got its World Premiere today at 8pm at Edinburgh International Film Festival and will be released across the UK on 6 July. You can view more information about screenings here. It's somehow easy to get the idea of growing up in a beautiful rural place and as a result having an idyllic childhood and developing strong bonds with nature. We The Animals is one of those films that proves that that isn't necessarily the case. Against the backdrop of a beautiful lakeshore, Manny, Joel and Jonah tear their way through the countryside and watch without fully understanding the dysfunctional relationship between their parents who argue, fight, split up, get back together. They both work nights, which can't help the family dynamics. Nine year old Jonah knows he is different from his brothers, for a start he can't swim while they play around in the lake with confidence and he has nightmares of drowning. He hides under the bed and draws, pictures that are increasingly angry as the arguments between his parents become more intense and as he spends more time with a local teenager. These drawings take on a life of their own as animated components in the film, which add another layer to the film. It's a beautifully made melancholy coming of age film and the viewer somehow has the sense that the young boys are going to grow up only to repeat the mistakes and failures of their parents. We the Animals is screening as part of the Edinburgh International Film Festival at 1800 Sunday 24 June at Cineworld and 2050 Wednesday 27 June at Vue Omni. Christmas Island is famous to naturalists for the red crabs that live there in huge numbers and make an annual migration across the island. It is also home to a detention centre for asylum seekers and illegal immigrants seeking a new life in Australia. Island of the Hungry Ghosts follows Poh Lin Lee a trauma counsellor in a community hospital who works with the asylum seekers as she tries to help them come to terms with their situation. She tries to help people come to terms with escaping from war, surviving shipwreck and being forcibly seperated from their families. It's a difficult job and she is often in tears in frustration knowing that however much she works her clients are going to return to the detention centre for the rest of the week and almost always their mental state is constantly deteriorating because of the conditions there. The situation for the asylum seekers is contrasted with Poh Lin's happy family life with her French husband and their children. As a parallel strand to the film, we are shown the efforts made to look after the red crabs on their migrations. One of the rangers says 'we need to help them migrate to help them get where they're going and do what they want to do'. Roads are closed when they are being used by migrating crabs, logs are laid over ditches so that crabs can navigate their way over them. The contrast with the lack of respect shown to the asylum seekers by the detention centre is clear. The first immigrants to Christmas Island were Chinese and to this day the Chinese community on the island holds ceremonies to help their dead cross over to the spirit realm, helping them to migrate from one state of being to another. Again the contrast with the lack of care given to the asylum seekers by officialdom is clear. It's a beautifully made film with wonderful cinematography and takes a lyrical, metaphor-rich approach to documentary film making without ever losing track of the important story it is telling. Island of the Hungry Ghosts is screening as part of the Edinburgh International Film Festival at 1810, Sunday 24 June at Odeon and at 2035 Tuesday 26 at Filmhouse. You can book tickets here. After her Uncle Dave's death, 14-year-old Ella (Ta'kaiya Blaney) is determined to travel to Klemtu, their native home, to testify in his stead against a proposed pipeline that would see oil tanker traffic through their beloved homeland waters. To do this she decides to kayak along the length of the Inside Passage, along the shores of the Great Bear Rainforest and scatter her Uncle's ashes along the way. She is accompanied by her grumpy Uncle Don (Dave's brother), her step cousin Alex (Dave's son) and his nervous mother Corey. Along the way they encounter bad weather, food poisoning and family disagreements which slow down their journey as well as the magnificent landscapes and wildlife (including orcas and Stella's sea lions) that remind them what they are fighting for. At the end Ella delivers a stunning speech about how her Uncle is now buried all along the water body and as burial grounds are sacred and cannot be built on then the pipeline cannot be built and tankers cannot be allowed along this stretch of water. It's a road trip along the waters and a meditation on the connections between peoples of the First Nations and their lands. It's also a moving family drama with themes of grief, estrangement and reconciliation. Some of the dialogue is irritating and I wanted to know more specifics about why most of the family had left Klemtu, but overall it's a beautiful film with an important message. In reality tankers have been banned from these waters though smaller boats do carry fuel here and soon after completing this film in fact there was an oil spill here. Kayak to Klemtu is screening as part of the Edinburgh Internaitonal Film Festival at 1540, 24 June at Cineworld and at 1810, 25 June at Vue Omni. Find out more and book here. I had read on social media that a bearded seal had arrived in Lerwick Harbour - this was a couple of weeks before our trip to Shetland so I didn't really expect her to still be there when we visited. The bearded seal is an arctic species so what was it doing in Lerwick Harbour? Apparently this is a young seal who got chased from the arctic by a pod of orcas. She sought safety in Lerwick Harbour and the orcas couldn't follow her in so she must have felt safe there and just stayed. Sadly though she apparently sometimes gets bullied by the local grey seals. Hopefully once she's stopped moulting she will go back home or she may be taken home (there's talk in Lerwick of organising a boat trip to take her back to the arctic). She wasn't in the harbour when we left, but she's left before and come back. Supa Modo is a superhero film with a difference. 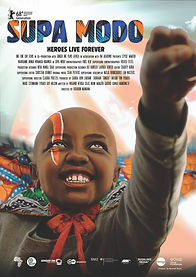 Nine year old Jo (Stycie Waweru) is a terminally ill Kenyan girl who loves superhero films and sharing superhero stories with her friends in hospital. In her dreams she dons a super hero cape and flies through the forests. She has a wonderful little superhero doll (that looks to be handmade from fabrics) which she uses to act out superhero stories. When her mother Kathryn takes her out of hospital to spend the rest of her days at home, Jo becomes closer to her older sister Mwix. The two girls spend time away from their overprotective Mum with Mwix persuading Jo to believe that she has superpowers. What ensues is a wonderfully engaging adventure with the whole village joining in to help make Jo's last days happy. It's a vibrant film full of colour and laughter as well as being moving and heartbreaking. The beautiful landscapes of Kenya, the bright colours of the Kenyan fabrics worn by the women and decorating the houses. I love how the ending of the film brings everything together and shows how the legacy of a child's death can have positive elements within the tragedy. It really is a wonderful film, see it if you can. Supa Modo is showing at Edinburgh International Film Festival at 1820 on Friday 22 June at Vue Omni and at 1310 on Sunday 24 June at Odeon. Becoming Animal is a beautiful meditation on the human relationship with the natural world and how that relationship is mediated by language and technology. Filmed mostly in Grand Teton National Park, Wyoming, the film focuses on elements of the natural world, allowing the viewer to become absorbed in the flow of a river and waterfall, the breeze through the trees, the calls of an elk at night. A collaboration between filmmakers Peter Mettler and Emma Davie and writer and philosopher David Abram, this is a very thought provoking film. How did the natural world impact on the first spoken and indeed written languages? How does language impact on our understanding of time and is time itself a concept that exists outwith language? How does technology help and hinder our relationship with the other creatures we share the planet with? Specifically how does film making affect that relationship? The film is beautifully paced, slow and meditative as befits the subject matter and although Abram does sometimes veer towards the almost pretentious his words really do prompt you to think about how we perceive and understand nature. Becoming Animal is screening as part of Edinburgh International Film Festival at 1815, Thursday 21 June at Filmhouse and 1310 Saturday June 23 at Vue Omni. We've just got back from a wonderful holiday in Shetland and I will in due course blog about the highlights of that but in the meantime it's Edinburgh International Film Festival and once again I have a press pass and films to review. First up was today's press screening of Science Fair, a documentary that follows brilliant young high school scientists across the world as they prepare their research projects for the International Science and Engineering Fair. There is a real mix of young people taking part. One US school had nine teams get through the regional and national competition to finally have seven winners at the fair, lead by their charismatic (and frankly sometimes scary) teacher Dr Serena McCalla. Kashfia Rahman meanwhile, a young Muslim attending a sports oriented school in the USA, has no research labs to work in and no science teacher prepared to oversee her work so she ends up being mentored by the school sports coach and even after she wins a prize at the fair her school does nothing to acknowledge her achievements. Robbie a US student failing in his maths class takes a project based on number theory to the fair and on the back of that is offered a paid internship to work on driverless cars. Anjali Chadha, a student in a strongly science oriented school in the US, researches new ways to test for and remove arsenic from drinking water while Myella and Gabriel two students from Brazil are working on the Zika virus - a project that they are now continuing at University level. My only disappointment was that there were no featured projects that specifically dealt with the scientific challenges posed by climate change or biodiversity loss. However the implication is still there, the scientific challenges of our time will be met by brilliant people like those featured in this film. Science Fair is screening at the Edinburgh International Film Festival at The Vue Omni at 2040 Thursday 21 June and at 1300 on Saturday 23 June. You can find out more and book here. It details how much food is wasted through the whole cycle from growing food through distributing it to retailers, the unsold food that is discarded by retailers and the food that is wasted by consumers. 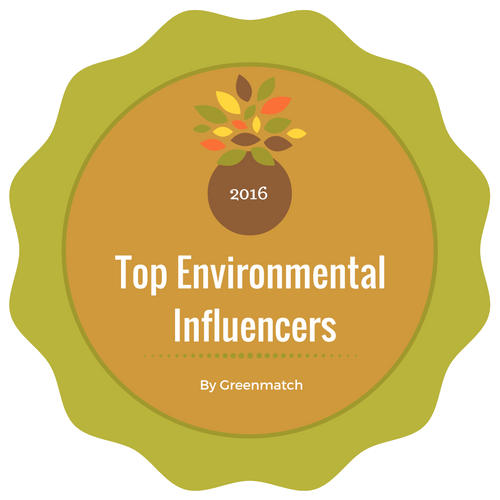 It also demonstrates how this waste puts pressure on rainforests and other valuable natural landscapes, and the impact on climate change. 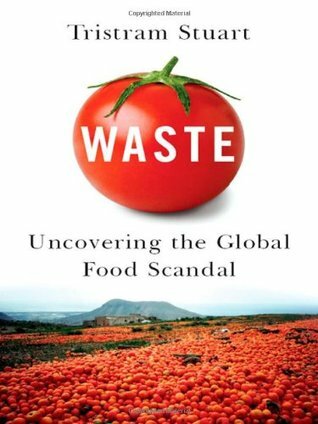 It is an interesting fact that the author has spent large periods of his life eating food that has been thrown away by supermarkets. The book isn't all doom and gloom though, it explores solutions such as fishing equipment that is designed to avoid bycatch, going back to feeding pigs on swill, restaurants that offer incentives to customers to finish all their food, food sharing initiatives and ways on which supermarkets can fine tune their stocking rate. In addition the author explores some of the evolutionary drivers behind our obsession with agricultural and other forms of surplus. It offers case studies of companies that are very efficient at reducing food waste, including one that sends its waste to a factory that makes high quality feedstock that the company then buys back for its own livestock. The book also explores differing attitudes to food waste across the world, focussing on Japan as being traditionally very efficient in avoiding waste. You won't look at your food again after reading this book! Waste by Tristram Stuart, published by Penguin (2009) andprinted on 100% recycled paper madefrom post consumer waste. Today I went to an excellent training session lead by Buglife about Lacewings and their allies. It was full of interesting facts such as that some lacewings will cover themselves in dead aphids and other things so that they can disguise their smell from ants and creep into ant nests to steal the aphids that ants like to harvest for the sweet honeydew that they produce. which brought in various beetles, sawflies, parasitic wasps, click beetles, pill woodlice and more moths including this carpet moth (possibly a silver ground carpet?) . We even found some lacewings! One of which may have been the brown bordered lacewing that we were specifically searching for, which is very rare, the only recent record of it in Scotland was two years ago here on Arthur's Seat. The lacewing in question will need to be studied more closely to identify it to species level. It was also lovely to see more than 20 swifts flying about. It was an excellent day's training and we even managed to avoid most of the rainstorm that followed on from the hot weather.